We ship throughout the continental U.S. through Federal Express. The additional charge for shipping includes shipping costs as well as additional cost of packing materials. All packages are shipped double boxed for safe handling. Please contact Barry with further questions and final costs. 715-760-2209 Barry@barryweiss.net. 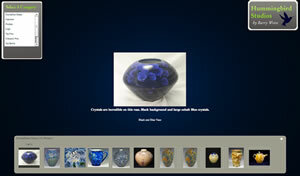 Your satisfaction and enjoyment of your pottery or art is our primary concern. We want your art to be a perfect fit with you. If within the first 10 days after your purchase and for any reason you are not satisfied, we will be happy to allow you a full purchase refund or exchange your purchase for another of your choice.